Home / County Politics, News / SHOCK as he finally sacks two Cabinet Members - You won’t believe the two did to deserve the sack! Will this man survive five years? SHOCK as he finally sacks two Cabinet Members - You won’t believe the two did to deserve the sack! Will this man survive five years? Friday August 31, 2018 - Kiambu Governor Ferdinand Waititu has suspended two members of his Cabinet until further notice. The two, Health Executive James Murega and his Trade counterpart, Isabela Waiyaki, were handed suspension letters for allegedly being perceived as being close to Deputy Governor James Nyoro. Nyoro has lamented the sacking of the two saying Waititu sacked the officials after they were seen with him recently. “We are being led by petty issues,” Nyoro lamented. However, Waititu defended the sacking saying the two were lazy and incompetent in the respective dockets. 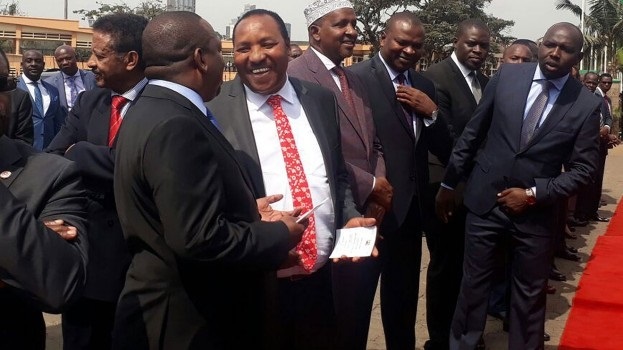 “We have been having problems in our hospitals and we want to investigate if (Murega) is the one at fault,” Waititu stated. “Some things are not going the right way and people are complaining,” he added.